To lift means ‘to move from a lower to a higher position,’ ‘to raise,’ ‘to hold high,’ and also ‘to stop or put an end to something.’ It can also mean ‘to remove pain, sadness, or a burden’ and, informally, ‘to plagarize’ or ‘to steal.’ A lift is the act of raising and the weight, load, or quantity of the thing lifted. A ride in a vehicle is also lift, especially in UK English, and a short feeling of happiness or excitement is called a lift as well. Martin lifted the box from the floor to the table. Emily lifted her eyes, shielding them from the sun, to watch the hawk circling. The gym teacher told us to lift our arms above our heads. The country has lifted the import restrictions. The teacher quickly spotted that the student had lifted most of his essay from Wikipedia. Competitors in the weightlifting competition performed a series of lifts for the judges. The teenager asked her aunt to give her a lift to the party. The client's positive feedback gave the team a much-needed lift. In medical terms, to lift is to use surgery to lift the skin of the face or another part, to make it appear younger. A lift is usually short for a face lift, which is the most common surgery of this type. 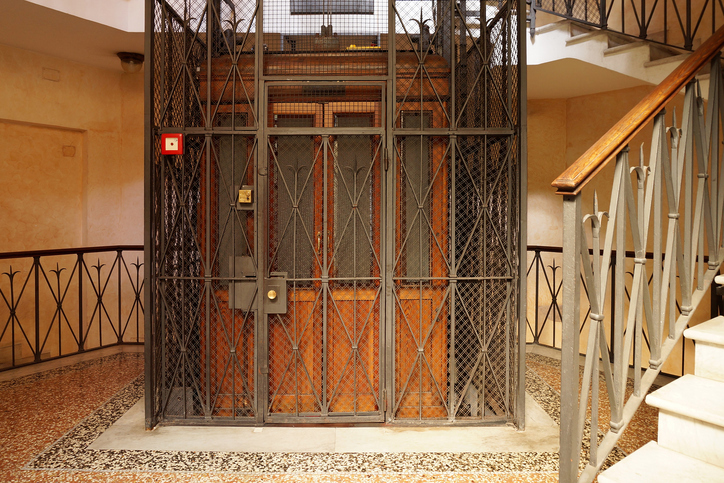 In UK English a lift is also a mechanical device for transporting people or goods between floors of a building. In the US, this is called an elevator. Lift dates back to around the year 1200. The Middle English verb liften originally meant ‘to exalt’ or ‘to elevate in rank or dignity,’ and came from the Old Norse lypta (to raise). It can be traced back to the Proto-Germanic verb luftijan, derived from the Proto-Germanic noun luftuz, meaning ‘air or sky.’ It is related to the Middle Low German lüchten, the Dutch lichten and the German lüften, all meaning ‘to lift.’ The sense expanded to ‘raise, pick up or erect’ around the year 1300, but the intransitive sense, ‘to rise’ or ‘to seem to rise,’ didn’t appear until the early 19th century. The figurative sense, to encourage’ (usually with up) dates back to the mid-15th century, while ‘to steal or plagiarize’ was first used in the early 16th century. The surgical sense dates back to the 1920s. The noun comes from the verb and, meaning ‘as much as a man can carry,’ dates back to the mid-14th century. It has been used figuratively since the early 17th century, though the sense ‘cheering action or influence’ appeared later, in the mid-19th century. It has meant ‘a ride in a vehicle’ since the early 18th century, and ‘elevator’ in the UK since 1861, when these mechanisms began to be used.